Why Should I Hire a Tampa Drunk Driver Accident Attorney? Drunk driver accidents in Tampa can happen at any time and require special attention from an attorney. Insurance adjusters complicate the process of recovering compensation for injured victims and try to minimize the recovery. It is important for injured victims, or loved ones acting on their behalf, to retain an attorney who has experience handling drunk driver accident claims. Every year, drunk driving causes more than 16,000 accidents in Florida. About 11,000 people are injured and nearly 1,000 people are killed in drunk driving accidents every year in the state. At Fernandez & Hernandez, we aggressively pursue claims against drunk drivers responsible for serious injuries and death. In addition to pursuing negligence claims, Florida law gives drunk driving victims the right to sue for punitive damages. It is a way to punish a drunk driver for willful, wanton, and reckless conduct. If you have been involved in a drunk driver accident, you may have legal recourse. 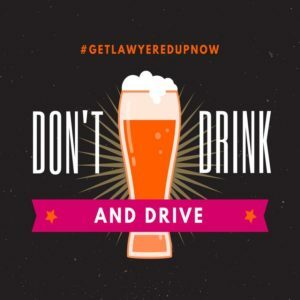 Why Should I Contact a Tampa Drunk Driver Accident Lawyer? Insurance companies are not in the business of paying claims at full value unless they are made to pay full value. It may be difficult for injured victims to recover from a drink driver accident, especially if they are pursuing their claim without the guidance of an attorney. If you were injured in a drunk driver crash, an attorney can explain your options for pursuing compensation for medical bills and other losses. If you contact a Tampa drunk driver accident lawyer immediately after the accident, he or she can begin to collect information and evidence to support your claim for compensation. At Fernandez & Hernandez, the drunk driver accident attorneys are familiar with laws governing drunk driving crashes – which differ significantly from those pertaining to ordinary accidents – and have extensive experience dealing with insurance companies. We have access to the top experts, including accident reconstructionists and medical experts. By working with these individuals, our attorneys have established a successful track record of results in recovering compensation for injured individuals. After a drunk driver accident, your attorney may contact the negligent party’s insurance company to negotiate a settlement for costs incurred as a result of the accident. He or she will leverage information collected to recover compensation for your expenses. If negotiations with insurance companies are unsuccessful or unsatisfactory, you may be able to pursue legal action against the negligent party with the help of your attorney. Drunk driver accident lawsuits fall under the category of personal injury, which in turn is based on the theory of negligence. Your attorney will have to prove that the other driver in the accident was at fault because he or she failed to exercise a reasonable standard of care. In order to do so, your attorney will conduct an investigation to learn more about the incident, including whether the other driver was driving under the influence. If you have lost a loved one in a drunk driver accident, you may have recourse to recover compensation through a wrongful death lawsuit. An attorney can help the family of the deceased prove the negligence of the other driver was the cause of the victim’s death. Past and Future Medical Expenses: Victims may receive compensation for emergency visits, hospital care, surgery etc. if the injuries were directly related to the accident. Lost Wages: Drunk driver accident victims can claim compensation for wages they could have earned if the accident did not take place. Victims can recover compensation for the period of time they had to be away from work to recover. Pain and Suffering: Drunk driver accident victims can claim compensation for pain and suffering after the accident. To determine whether the victim requires compensation, factors such as the nature of the injury, along with the duration and extent of pain, will be considered. Mental Anguish: Victims and families may also be provided compensation for the emotional pain they had to face after the incident. Emotional suffering includes feelings of fright, embarrassment, nervousness, worry, and grief. Loss of Consortium: The surviving spouse may be awarded compensation for the loss of services, assistance, aid, society, and companionship of his or her loved one in the case of a wrongful death caused by a drunk driver. Surviving parents may be awarded compensation for the loss of love, affection, and companionship of their minor children as a result of their wrongful death. Likewise, minor children may be awarded compensation for the loss of services, assistance, aid, society, and companionship of their parents as a result of their wrongful death. Punitive Damages: In addition to pursuing negligence claims, Florida law gives drunk driving victims the right to sue for punitive damages. It is a way to punish a drunk driver for willful, wanton, and reckless conduct. If you were injured, or lost a loved one, in a drunk driver accident, you may be entitled to compensation. To find out more about drunk driver accident lawsuits, fill out our free case review form today. Attorney Martin J. Hernandez of Fernandez & Hernandez, LLC in Tampa provides legal representation for families in auto accident injury and wrongful death cases. Our Tampa personal injury attorneys welcome the opportunity to interview with you and your loved ones. We invite you to review our recent results from settlements to trial verdicts. Our qualifications and background are available to you as well. Our Tampa Attorneys Martin Hernandez and Daniel Fernandez are bilingual as well. Just call us at 813 229-5353 for your free consultation. The Tampa personal injury lawyers of Fernandez & Hernandez, serve Florida communities including Tampa, Brandon, Carrollwood, Westchase, Riverview, Temple Terrace, Pasco, Pinellas, St. Petersburg, Clearwater, Lakeland, Plant City, Ruskin, Apollo Beach, Dover, Valrico, Lutz, Lakeland and many other neighborhoods in Tampa Bay area. Is Drinking and Driving Worth It? Is drinking and driving more important than your life or another person’s life? Take a cab, protect yourself as well as others on the roadways, don’t become another drinking and driving statistic.